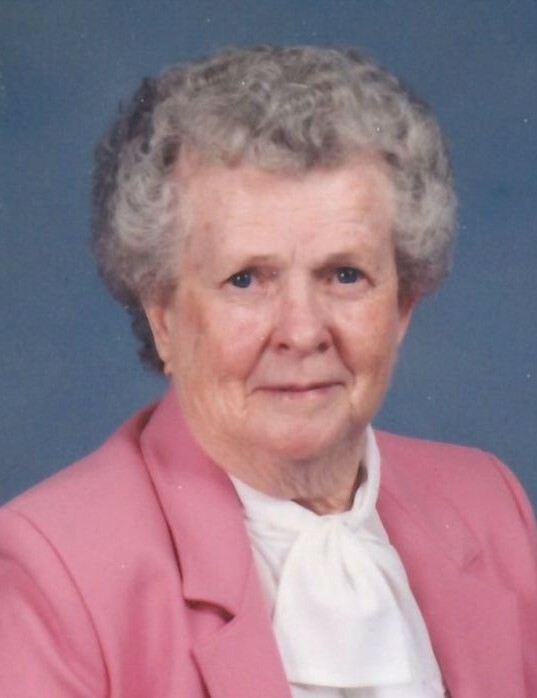 Lola Frances Shorts, age 93, of Centerville, Iowa, passed away Friday, February 01, 2019 at the Golden Age Care Center in Centerville. Lola was born January 8, 1926 in Centerville, Iowa, the daughter of Ralph and Violet (Woods) Shorts. She graduated from Centerville High School. Lola lived in Centerville her whole life. She worked for several places throughout her lifetime, including Stagner Floral, Coast to Coast, McGraw Edison, Western Auto, and Monroe Plastics. Lola was a member of the First United Methodist Church in Centerville; the Order of the Eastern Star, Hospital Auxiliary, and WSOJ (White Shrine of Jerusalem). She was also involved in Respite Care. Lola enjoyed bowling and gardening for many years. Left to cherish Lola’s memory inlcude her niece, Bonnie (Hugo) Keyner of Vail, Arizona; three nephews, Terry (Janice) McElvain of Centerville, John (Marcella) McElvain of Council Bluffs, and James McElvain of Corydon. She was preceded in death by her parents, Ralph and Violet Shorts; a sister, Helen McElvain; a brother-in-law, Paul McElvain; a niece-in-law, Melinda McElvain; a nephew-in law, Leslie Arnton Hampton; and a niece, Sandra Hampton. Funeral services will be held at 11:00AM, Thursday, February 7, 2019 at Lange Funeral Home and Crematory in Centerville with Pastor Christy Ehrle officiating. Burial will follow the service at Oakland Cemetery in Centerville. A Visitation will take place Thursday, February 7, 2019 at Lange Funeral Home in Centerville, with the family greeting friends from 10:00-11:00AM. Memorials have been established to the First United Methodist Church, and may be mailed to Lange Funeral Home and Crematory, 1900 South 18th Street, Centerville, Iowa 52544. Condolences may be shared online at www.langefh.com.